The Jeep Compass has plenty to love, and Castle Rock drivers have taken notice. From its bold style and iconic performance prowess to its advanced safety amenities, the Jeep Compass specs make it the perfect vehicle for busy families and adventurers alike. 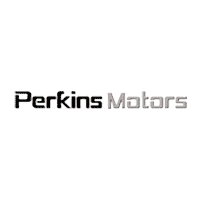 Find the Jeep Compass for sale nearby at Perkins Motors near Canon City. We would be delighted to tell you about the new Jeep Compass and how it can improve your daily drive in Pueblo. Visit Perkins Motors to find the Jeep Compass for sale at a price that doesn’t break the bank. Contact us today, or stop by in person for a test drive. The entire Jeep lineup is designed to impress.